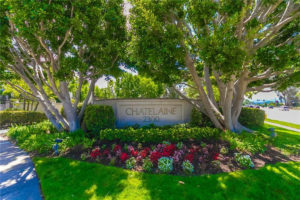 Located at 2300 Maple, the gated community of Chatelaine in the Plaza Del Amo area features 236 townhomes in the heart of Torrance. The complex offers 3 bedroom units with square footage ranging between 1,713 and 1,867 square feet* and 4 bedrooms ranging between 1,862 and 1,867 feet*. Built in the late 80’s Chatelaine has a clean look with landscaped grounds and a look more like single family homes than townhomes. Due to the size of the community (one of the largest) there are far more home sales in the complex than in some nearby communities. Chatelaine amenities include a community pool and spa as well as a clubhouse area. Located in the heart of the South Bay, the community of Chatelaine is just a short distance to the newly rebuilt Del Amo fashion mall, Wilson Park with 2 farmers markets a week, The South Bay Galleria, shopping, dining, entertainment and more. HOA dues are on the high side for the area at approximately $510** as of 2/4/19. They do, however include water, trash, basic cable & EQ insurance. *Square footage approximate based on information from the CRMLS and is not guaranteed. **HOA fees approximate as of 2/4/19.